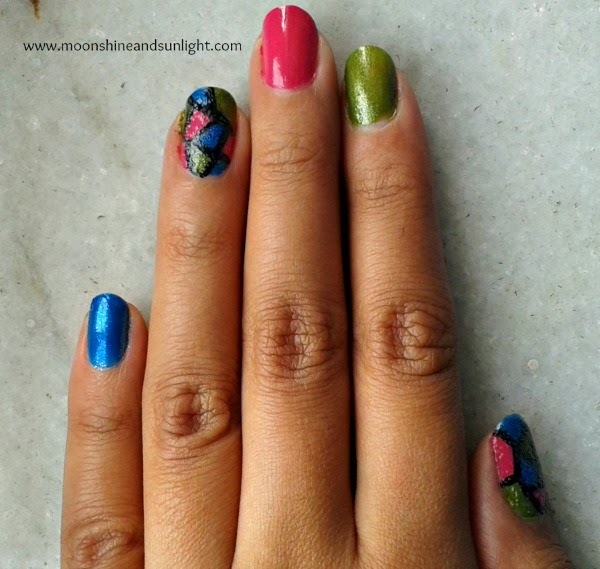 It has been quite a long time I am doing nail art on my own nails and slowly starting to get comfortable with experimenting with my nail colors. Though I am still lacking nail art tools and learning some new things. 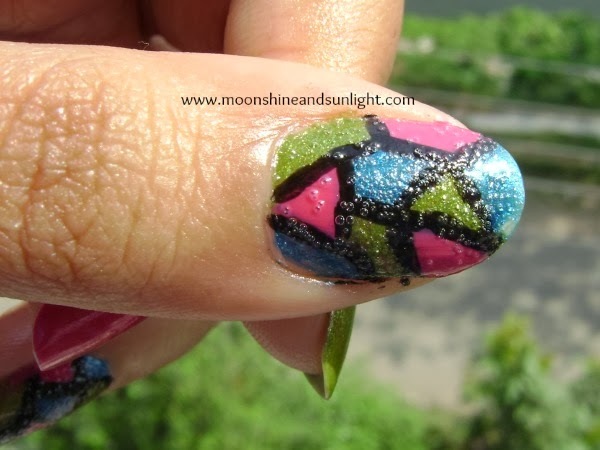 Today I am sharing a different kind of nail art from the others I have done. 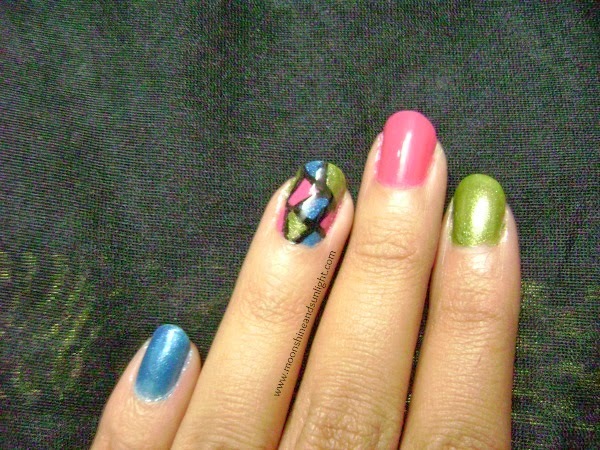 I did mosaic nails today using a paint brush. I was very happy with my nail art when I did it at night ,but when I woke up I was heart broken when I saw bubbles on my accent nail and thumb nail. Then I realized that this happened because Colorshow crystal clear is not a quick dry top coat. The first picture is what it looked like when I made it. Sorry , for the picture quality as I had clicked it with my phone camera. In the above picture you can see the bubbles. 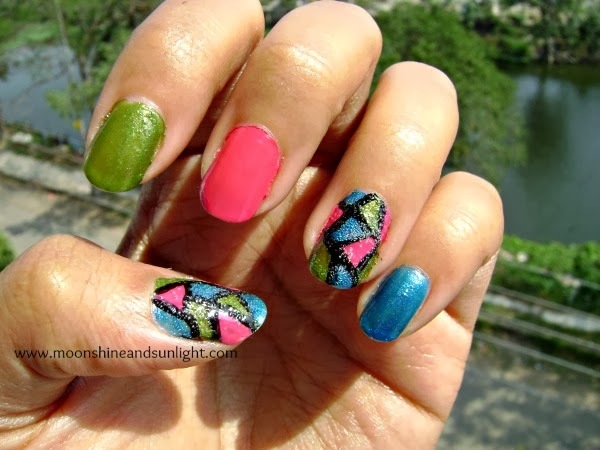 The bubbles are mostly formed on the nail colors with shimmers , i.e. on Absinthe and Mint fizz. 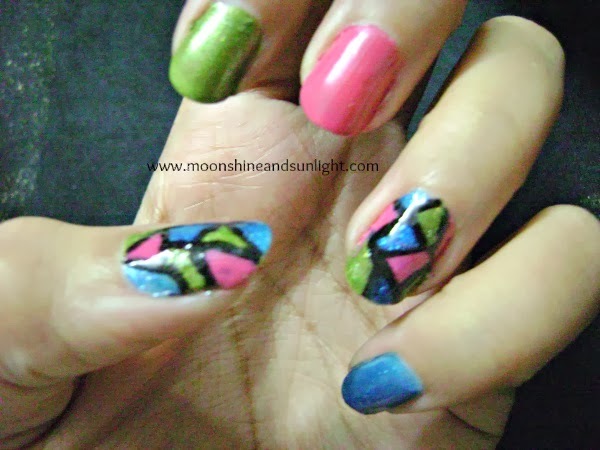 Will be back soon with an awesome DIY :D.
Did you like the nail art ?? Do you have any problem while doing your own nails ?? You really have the patience :) Nice ! I wish I had the patience to do this. They look beautiful. oooooh thats so colorful and pretty!